Hey y’all, first of all I just want to say Happy Thanksgiving! Hopefully yall are spending time with your families and friends on this day. I wanted to take this time and share with y’all something very special, that I am personally grateful for. Earlier this month, Matt Castillo from Matt and the Herdsmen, agree to be my first interview! Yes, y’all heard right. I had the opportunity to sit down and catch up with him and take a look at how far the band has come, their current projects, and what their future goals are as a band. I'll be honest, I was a bit nervous about doing my first interview, thankfully Matt is a blast to be around and made it easier for me. With that being said, let's get right to it! The first time I saw y'all, “Matt and The Herdsmen” was at Palmfest back in 2015. 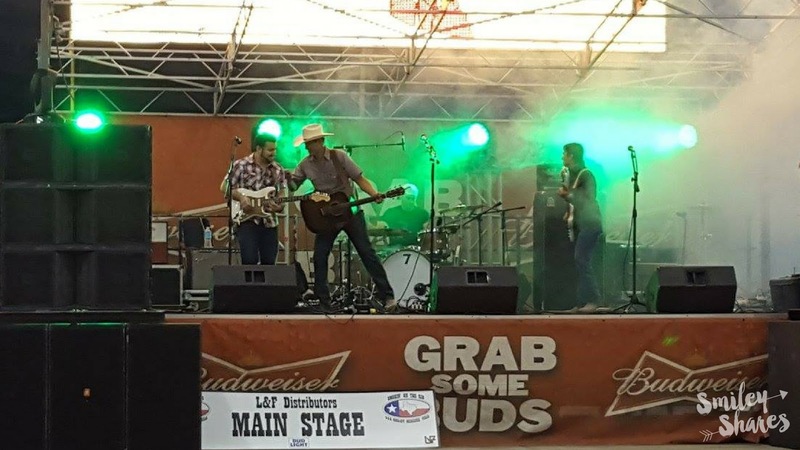 Since then y’all have released two singles “All Gone” and “Too Drunk Anyway”, yall have played alongside great artists, the latest being Mike and The Moonpies at Floores (Helotes,Tx). Also, y’all were nominated for the “Texas Regional Radio Music Awards” and made it to the final round. M: Yeah, made it to the final round and lost but it was fun. When I found out who we were going up against, I was like “man, there is no way we are going to pull this one out”. Those were some tough categories, and some tough competition. I voted for you guys, but honestly, I almost didn’t. M: How dare you?! Yeah it was hard but the cool thing is being nominated for “New Single of the Year” and “New Band/ Duo of the Year”. It is pretty outstanding because with the album we kind of didn’t know what we were doing, we did but we didn’t know, and then to be nominated for new band of the year is pretty exciting. It shows our work ethic and all the hard work we put into it. And being nominated in “New Single of the Year” we were competing with William Clark Green, Randy Rogers, Wade Bowen, big guys like - Maaan. The other thing that I really enjoyed and so did the guys is that the fans got to vote. It wasn’t by a committee but it was literally the fans introducing us, it was the fans that got us for the final round. We were okay with not going through the first round, because we are so brand new but everyone started voting, and then it was the second round and now it we are in the final third round, so people must have seen us and asked themselves, “who are these guys?”. We were really happy to just be nominated in these categories. How does it feel to look back at everything that you and the band have been able to accomplish within the last 3 years, because it has been 3 years since y’all came together? M: Yeah. I guess looking back now; it’s pretty cool how far we’ve been able to come. It’s been one of those deals where we had our heads down grinding away and we finally looked up every now and then Hard work does pay off and a lot of it, is making sacrifices, being on the road and playing shows, and just being humble. We’ ve learned so much from each other, because we didn’t know each beforehand, we all came in fresh, and I think that was probably the toughest challenge… seeing how we were all going to collaborate and work together. But everybody has such a great sense of humor and we get along. Matt and The Herdsmen at Smokin' on the Rio "after party"
Y’all do so seem to be getting along, I saw the “Bros 4 Life” set of photos from the show at Floore’s. M: Yeah and that’s cool. I have a great relationship with them all. Again not knowing where they came from, what their background was, we had to just learn that. It is being fun getting to know those guys, I wouldn’t want anybody else by my side playing a show, because I know I can turn back look at Ruben, look to the side and see Beto there, turn and see Danny there and feel comfortable on stage. It is one of those weird things. So if somebody were to replace somebody I would feel awkward. Y'all are in the process of working on the new album. Is it done? Or still in the process of editing? M: No, it is done. Completely mastered, and we have it locked up in a safe. Haha…We are just waiting around because the plan is to do something a little bit different that we didn’t do last album. We’ve learned a lot from the past three years, and we really want to go with a publicist, get some presales, and work with a different distributor. The more you engulf yourself in the music scene, you start finding out about who to work with and who somebody would recommend. I am very grateful that a lot of the other bands we have opened up for they have told us, “hey look into this”, “look into that”, “be weary of this”, “don’t jump in”. That is why, it has kind of taken up some time, and the guys understand. That is why we aren’t in a rush to put it out there. That is not to say that you won’t get a sneak peek of the album, the guys and I have talked about different ways to promote, get sneak peeks out there, give them a taste of what is going to be on the album, maybe even put the album live for 24 hours or something like that. We are working on all the paperwork behind the scenes before we get the official okay to start promoting it. When we pull the trigger it is going to be all together and there isn’t going to be any missing pieces and that is the goal. It is great to hear that you are taking the time for the sake of doing it right. The last time I saw y’all was at Bourbon St. in McAllen. That is actually where you guys will be going be recording the music video for “Chance to Make You Stay”, and that will be this weekend? M: It will be this Friday (Nov. 11th), 11pm-1am it is going to be fun. The approach is like this, the first music video introduces the band, so we had a music video that shows what happens with us on a daily basis, that was “Dance All Night”. Then we wanted to do a lyric video and that was “Too Drunk Anyway”. Now, we want to do like a movie music video, so there will be more details for “Chance to Make You Stay”, we kind of just want to do something different. Is there a specific theme, or a storyline for the video? M: Well, I kind of want to turn this into a movie because there are so many components to the story. We really want to do a good job on it, and take our time. Friday night will be the party scene, where “me” in the song, I am doing all the bad stuff. Getting our friends involved in the party scene is great too. So, having the band there, and having our closest friends and having people from Facebook come out and get them to be in the music video is the cool thing about it. Because this is not going to be a music show; so we will be filming from 11pm-1am, hanging out, taking pictures. We are thankful that Bourbon St is sponsoring the music video so they get to be a part of it as well. I like that we are able to work together, because they along with other venues down here, had a helping hand in moving us forward, from The Dog House, Monster Carwash, Mel’s Diner, all those venues, and bar owners have been great help, and hope that it always continues and keep moving forward. I’m sure that will be exciting then. So, I know y’all are always traveling playing shows, not just here in the valley but also across Texas. But this Thanksgiving break you guys are having a hometown show with The Powell Brothers and Randy Rogers Band. How do y’all feel opening up for them for the 3rd time during their Valley shows (4th time overall)? M: First of all, it’s been fun with those guys. We are truly blessed. I think Danny (Bass player) hit it right on the nail “hard work is paying off, and we are getting called to play shows, but there are other bands that are doing the same”. We talk to them and they are happy for us, as much as we would be happy for them go out and support them. As far as working with the Randy Rogers Band, I think they know who we are, and everybody has a great relationship and that is the great thing about it, they keep it humble. For us, maybe we were star struck the first time or even the second time around but they keep telling me “we put on pants just as you do every morning”. I’m excited the show that we have planned out of it, we tried it out at Floore’s Country Store and it was awesome, everybody really enjoyed the show, I did, the guys did, so we will keep it the same for this show, high intensity,…end it with a good bang. 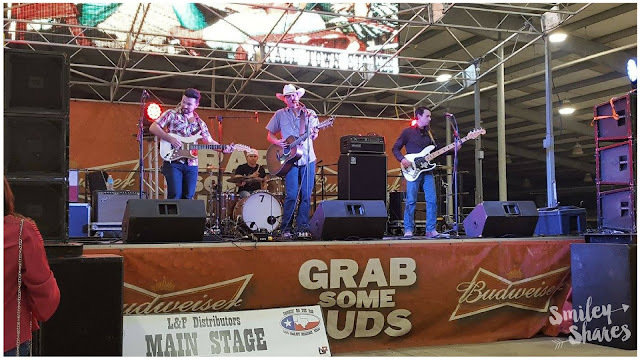 Well we’ve mentioned you guys traveling a lot, and I am sure yall have been able to see how the Texas Country Scene is in other cities/areas, in your point of view how is the South Texas Country Music scene different or unique? M: I think we are still learning that. Our biggest fan base is here, and that is what we love the most. The music scene up there is a little bit different, they expect more originals, and from what we’ve seen from The Valley they know what they like and they ask for their honky tonks-their legends, their covers. Both are great for us, because we get to play the music, and our main goal is to share our music. It is different, but we are still learning it all. I think we always try to do the best we can, as far as covering all the grounds, from cover songs to our originals. I am excited for this album, it is 11 songs, I think it is going to be a 180 from the last album. The songwriting in it has improved, as well as the musical composition. I have been able to write with good songwriters and I am very blessed that they said yes to write with me. I am really excited. And I lot of the people that we have talked to, have said “You guys are really country, it’s almost refreshing. You guys are doing a really great job” and that is a compliment to the guys, as much as it is to myself as a songwriter. I’m happy that in this album, I get to showcase some songwriters from The Valley, and some from Austin, and we all come together and make this really great album. I wrote a couple with some of the band mates, Eddie Saenz, Andy Walker, and then I went up to Austin and wrote a song with Jordan a good buddy of mine. When, I look back at the album and I look at the credits, I am so happy that they allowed me to song write with them and put them on our record. That’s a really cool thing, to showcase them because there are a lot of talented songwriters down here and I am glad that there is almost like a movement, they are coming out. A lot of bands, are putting out EP’s, recorded 2 or 3 the songs, it is so awesome because now we can put The Valley on a map. That is the whole point with us putting so much effort into this record, because we want to put The Valley out there. That is the goal for people to know that there are great song writers and greatness here in South Texas, just because we are so far that does not mean we can’t be put on the map. I hope The Valley is proud of what we are trying to do, it’s been a fun ride and it is only the beginning. I think this album is going to be really good, and I hope people enjoy it. There we have it everyone! If this doesn't make you excited for what is to come for our hometown favorites, then I don't know what will...well maybe listening to the album, but for that we will have to wait...or you can just go and check them out the their upcoming "Holiday Hangovers" show, with The Powell Brothers and Randy Rogers Band, at Boggus Ford Events Center (Pharr,Tx). I would like to reminder you to follow the band on their social media accounts to stay up to date on their latest shows, the new music video and the possible "special sneak peeks". 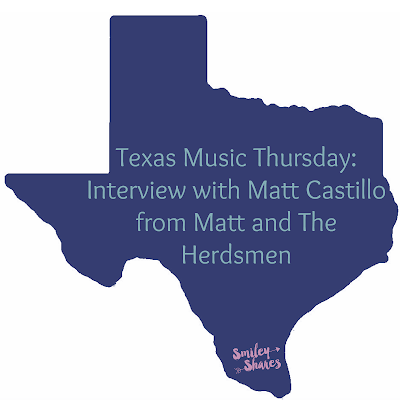 Thank you to Matt Castillo from Matt and The Herdsmen, for the patience, and willingness to do this interview with me.